The micro ohm meter PCE-MO 1000 measures the resistance and by that it determines the quality of connection by detecting lowest resistances. Additionally the micro ohm meter offers a variety of measuring parameters and it supports the option of measuring thresholds. 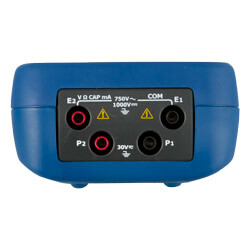 Those can be easily shown on the display of the micro ohm meter by pushing the relevant button. The display is also equipped with background lights that can be switched on and off. In case the micro ohm meter is applied during a longer measurement period whereas the value at a certain point must be frozen, the micro ohm meter features a hold function, so that the value at this point can be shown on the display for longer. In addition to the measurement of lower resistances the micro ohm meter can also measure resistances that occur as a regular phenomenon. It measures the direct current and alternating current, the relevant voltage and the capacity. 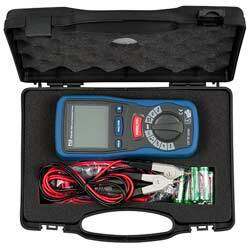 The micro ohm meter PCE-MO 1000 features a user-friendly navigation and a large LCD with background display. Thus the result can be clearly read from its display. A detailed description of the measuring result facilitate an evaluation of the measured data significantly. 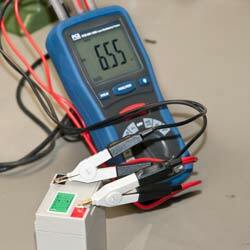 The micro ohm meter PCE-MO 1000 functions on 6 x 1.5 V AA batteries, which can be replaced easily. 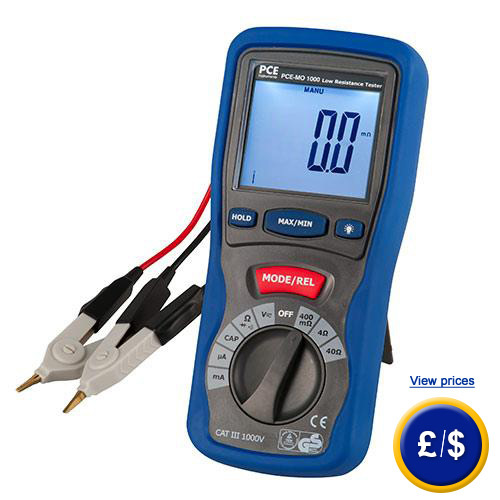 Therefore the micro ohm meter features displaying the battery state. If there are any questions about this micro ohm meter, please have a look at the technical specification below or call: UK customers +44(0) 23 809 870 30 / US customers +1-410-387-7703. Our technicians and engineers will gladly advise you regarding all ohm meters and all products in the field of measuring instruments, regulation and control and scales.